Rejoice, it’s strawberry season! The star of late spring and early summer shows up in many desserts but none better than strawberry shortcake. The classic dish is a harmony of shortcake biscuits, ripe juicy strawberries that give it a pop of color, and fresh whipped cream. Here are eight restaurants for strawberry shortcake season. 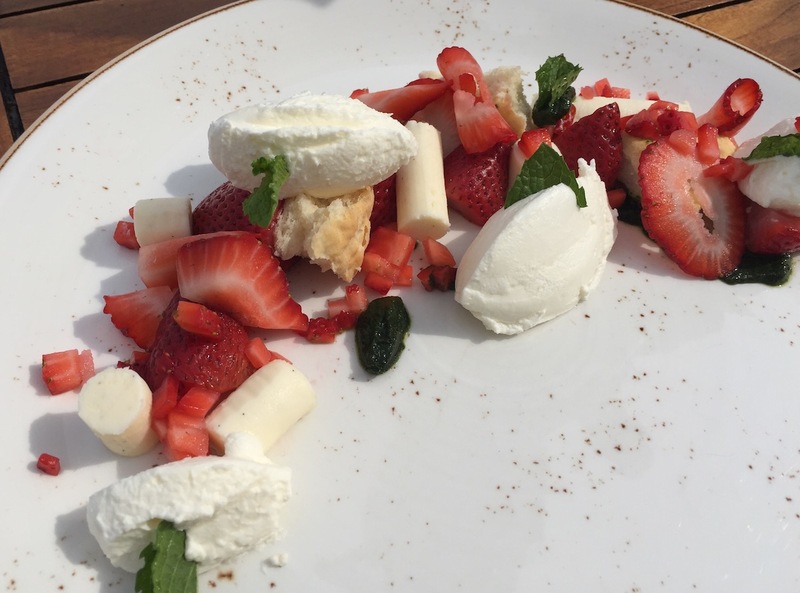 Pastry chef Alisha Falkenstein celebrates Oregon’s famous-but-brief berry season with a deconstructed Italian strawberry shortcake. 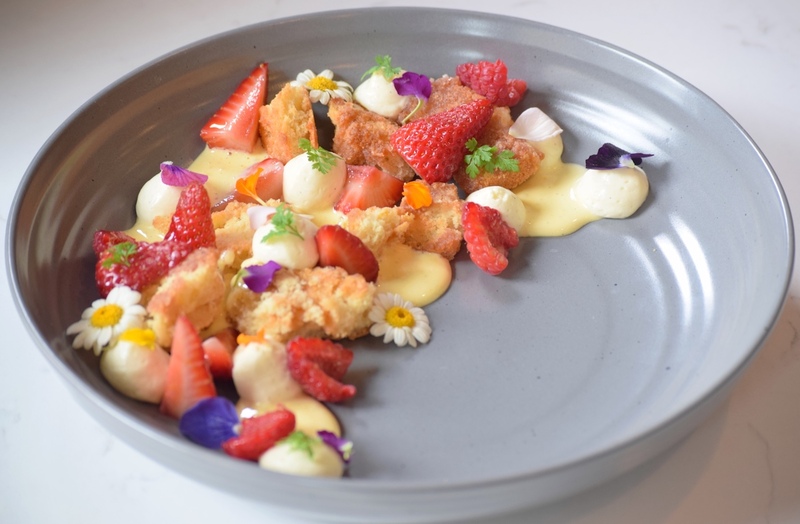 She sources fresh strawberries from Unger Farms and Groundwork Organics, located just outside of Portland, and the dish is plated with toasted almond cake, zabaglione, and mascarpone cream. Make a reservation at Il Solito. The origins of chef Andrew Chadwick’s Berries by the Sea dessert is easy to find — look for the rows of strawberries at next-door Maxwell’s Farm. 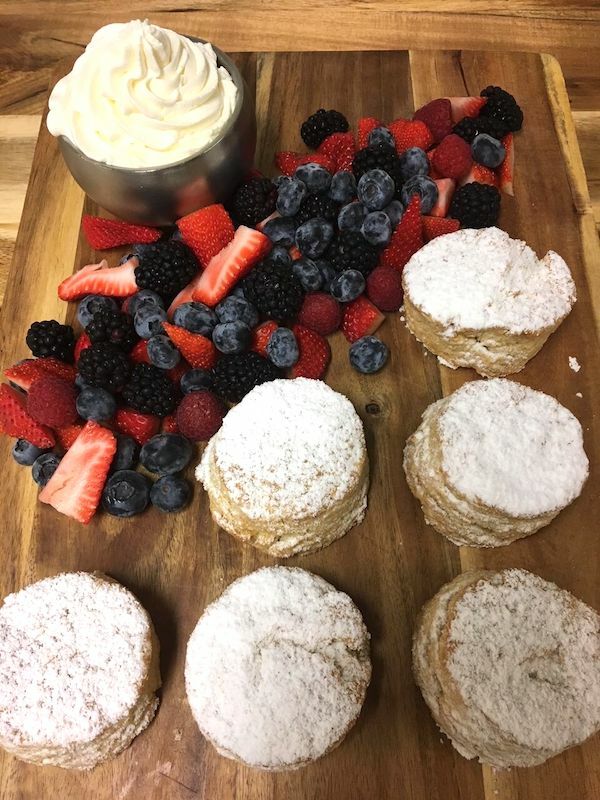 The dish is built with fresh berries, compressed with sugar berries and shaved berries, and plated with cheesecake rounds, biscuits, whipped cream, a basil puree. and mint. Make a reservation at Sea Glass at Inn by the Sea. The classic SS gets a Mediterranean spin at this plant-based restaurant as a strawberry yeasted cake. 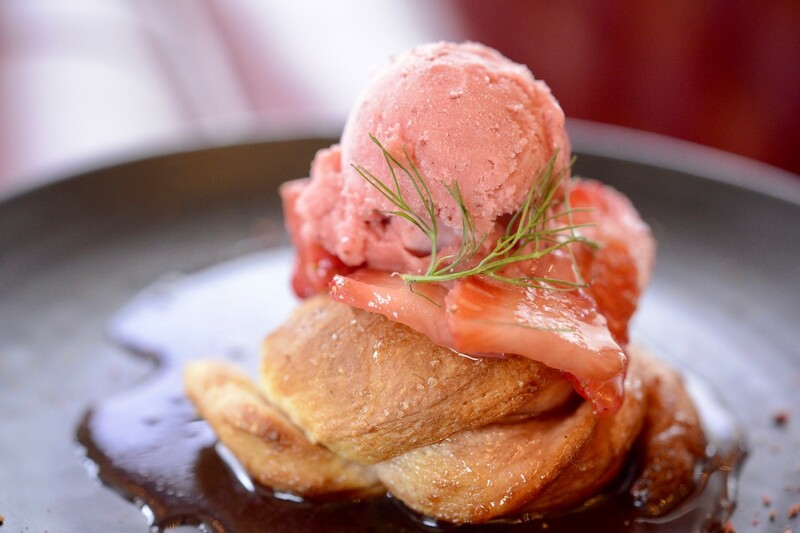 Israeli chef and owner Tal Ronnen’s innovative dessert features fresh strawberries (sourced from the local farmer’s market), strawberry peppercorn sorbet, and strawberry fennel sauce — crowning a fresh yeasted cake. Make a reservation at Crossroads. Add ice cream to strawberry shortcake and you get the royal, mouth-gaping strawberry and cherry shortcake sundae. 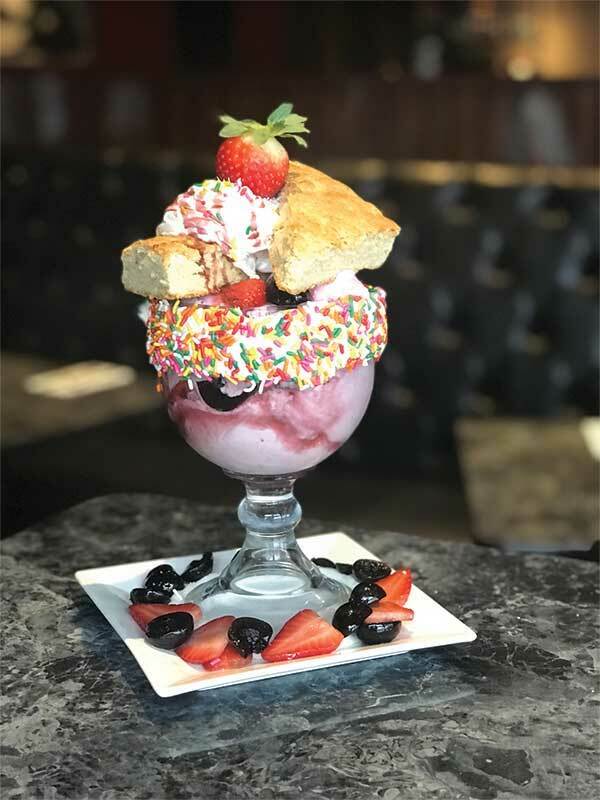 It’s made with strawberry ice cream, fresh strawberries, and cherries and is topped with rounds of shortcake, whipped cream, more berries, and lots of sprinkles. Make a reservation at Kings Dining & Entertainment. 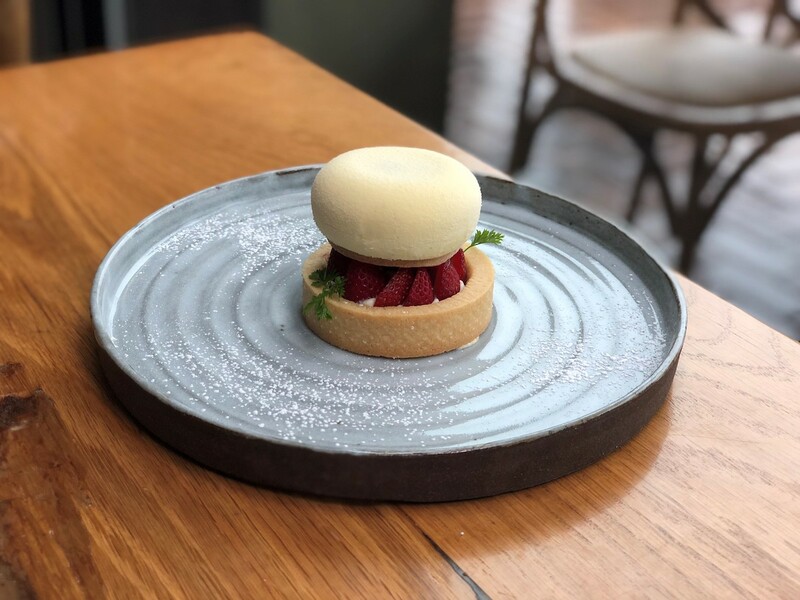 Pastry chef Alex Ruperto’s strawberries ‘n cream tart is made with “the most coveted strawberries in the country” — Harry’s Berries. The rich, decadent dessert is creatively built with shortbread, white chocolate mousse, dulcey (a creamy warm blond-colored chocolate), and mascarpone. Make a reservation at Roe Seafood. 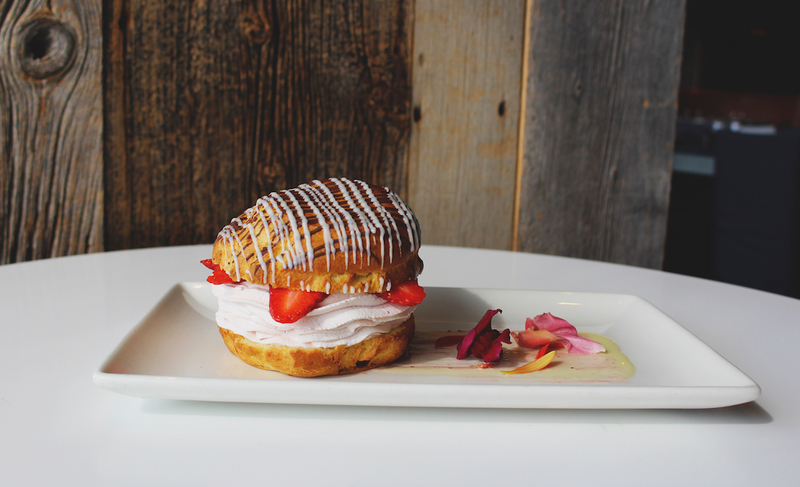 Cream puffs are an especially popular dessert in the Midwest, and executive chef Dinesh Jayawardena’s strawberry cream puff is a regionally-inspired take on strawberry shortcake. The seasonal dessert is made with strawberry sambuca mousse and fresh berries. Make a reservation at FireLake Grill House-Mall of America. Order the strawberry tres leches and you’ll get a modern, organic, Mexican take on the classic seasonal shortcake phenom. 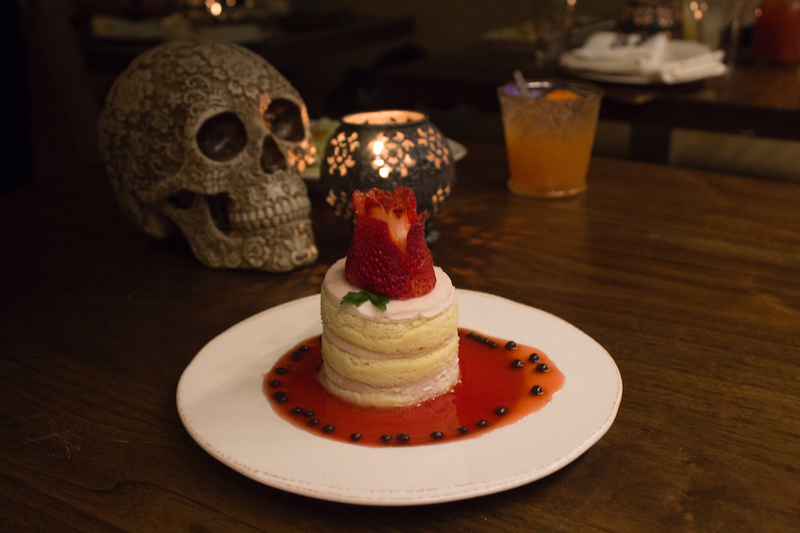 The dessert from executive chef Felix Garcia is created with tres leches-soaked sweet vanilla cake wheels that are layered with Driscoll’s organic strawberries and whipped cream. Make a reservation at Toca Madera. The summery New England clambake terrace buffet features a shortcake station with all the trappings of the classic strawberry shortcake dessert — whipped cream, fresh strawberries, fruit compote, and housemade plain and chocolate chip biscuits. Because clambakes and strawberries practically scream summer. Make a reservation at ArtBar. What are your picks for top restaurants strawberry shortcake season? Tell us here or over on Facebook, G+, Instagram, Pinterest, or Twitter. And, remember to snap + share your #dishpics with us on Instagram for a chance to win in our weekly giveaway.